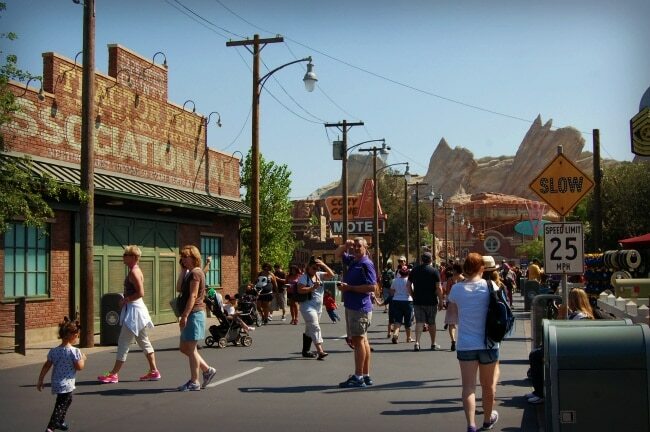 When I entered Cars Land at Disney’s California Adventure for the first time, it felt as if I was stepping right into the movie. Believe me when I tell you this: no detail was overlooked. While I didn’t have my daughter with me, I know she would have been able to identify all of the movie references that I probably missed. I’ve seen Cars numerous times, but the theming of this section of California Adventure is above and beyond anything that I’ve witnessed before at any theme park. 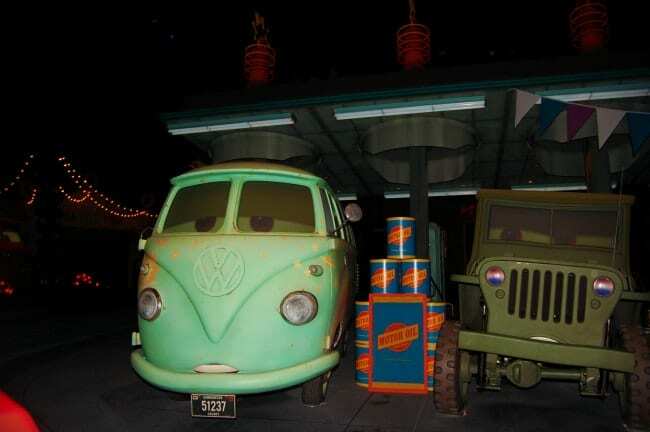 Mater’s Junkyard Jamboree is the first attraction you come upon as you enter Radiator Springs. 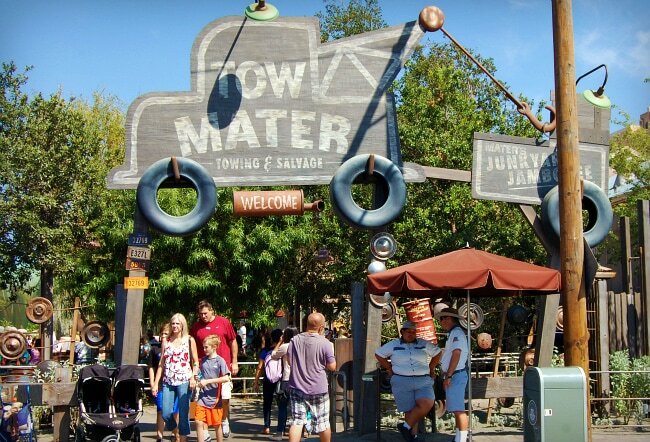 It’s a cute family-friendly ride where you board a tractor trailer that swings around while Mater sings toe-tapping tunes. 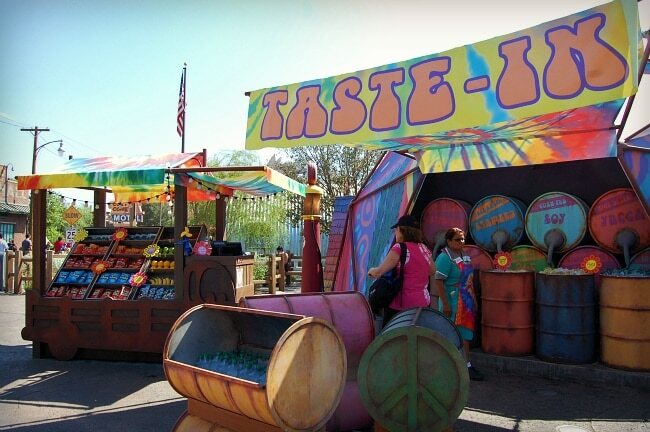 You won’t find a traditional snack cart in Cars Land — even stands for quick bites to eat are cleverly themed. True to Fillmore’s hippy style, Fillmore’s Taste-In offers healthy snack options like fruit cups and pickles, along with bottled water and juice. 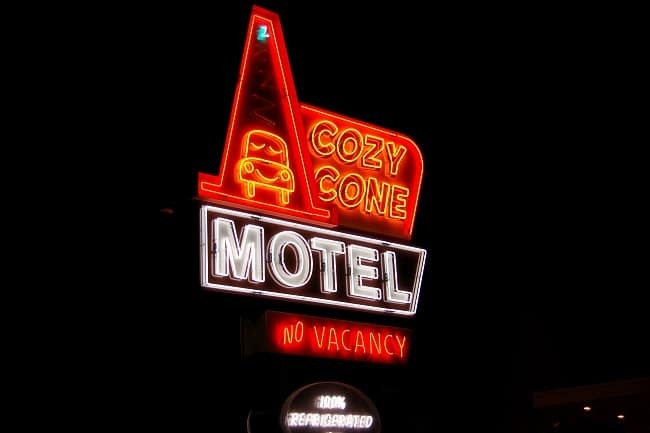 When you’re ready for a pit stop, look no further than the Cozy Cone Motel. 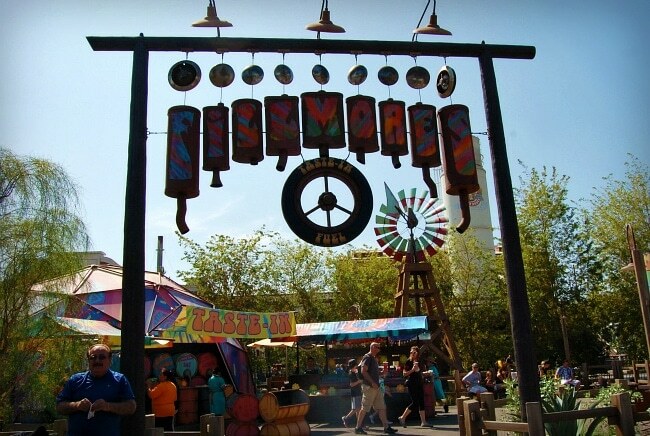 This area is actually a snack bar where each cone offers a selection of different treats. I especially love Red’s Apple Freeze — a unique concoction of frozen apple juice, toasted marshmallow syrup, and non-dairy passion fruit foam. 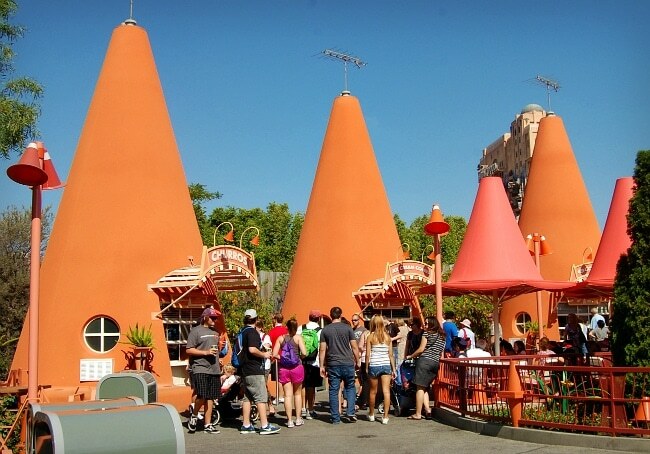 Other cone stands feature churros, ice cream, chili cone queso and popcorn. 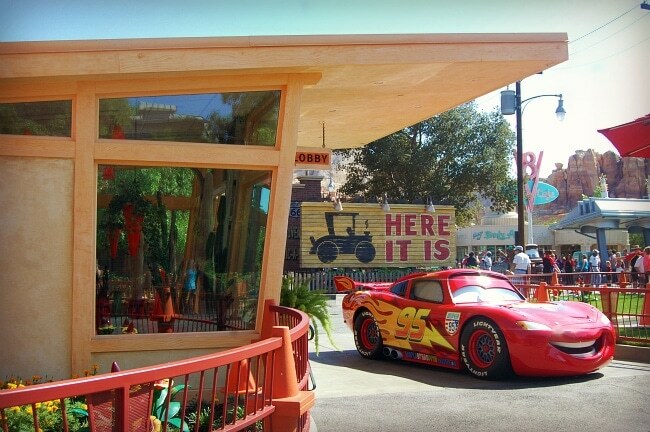 Both Lightning McQueen and Mater park outside the Cozy Cone Motel for meet-and-greets with kids — and the best part? They talk!! 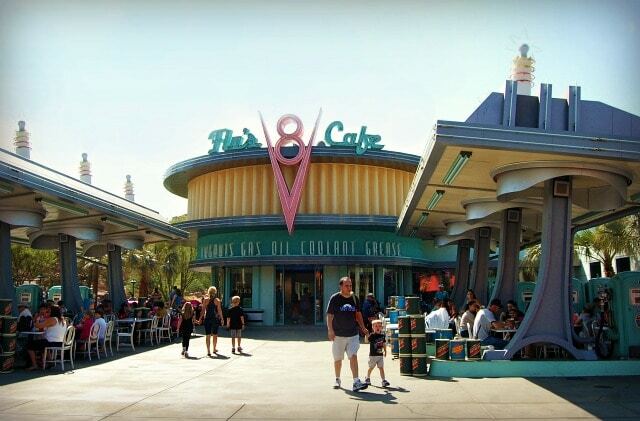 When you want something a bit more hearty for lunch or dinner, Flo’s V8 Cafe is inspired by the drive-up diners along Route 66. 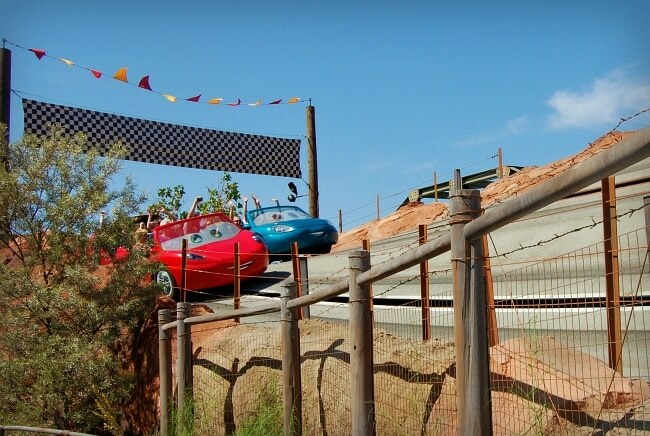 The big ticket ride in Cars Land is Radiator Springs Racers — and for good reason … it’s awesome! 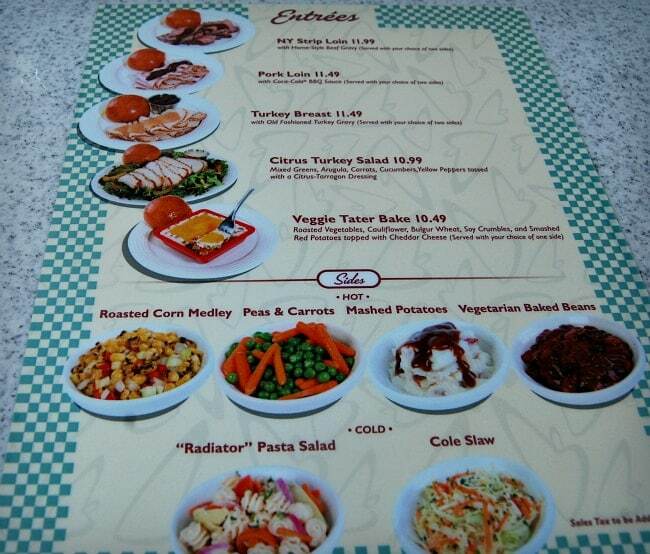 The attraction is on the same lines as Test Track at Epcot in Walt Disney World, with much cooler theming. 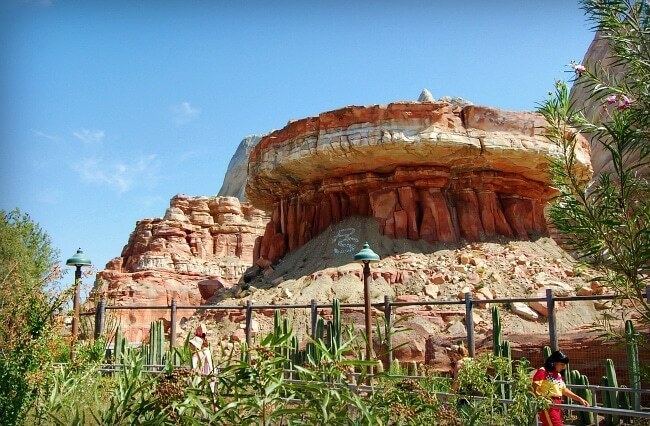 The ride is massive, as the rocky landscape makes up most of the backdrop of Cars Land. It’s really impressive just how detailed this ride is when you’re on it. 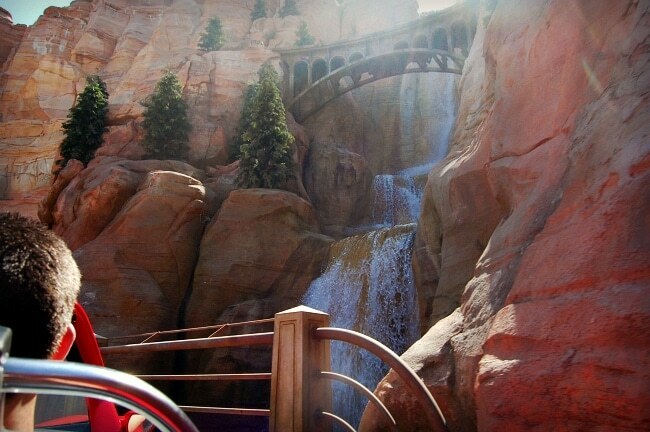 Radiator Springs Racers begins with a scenic tour through Ornament Valley with visuals of canyons and waterfalls. 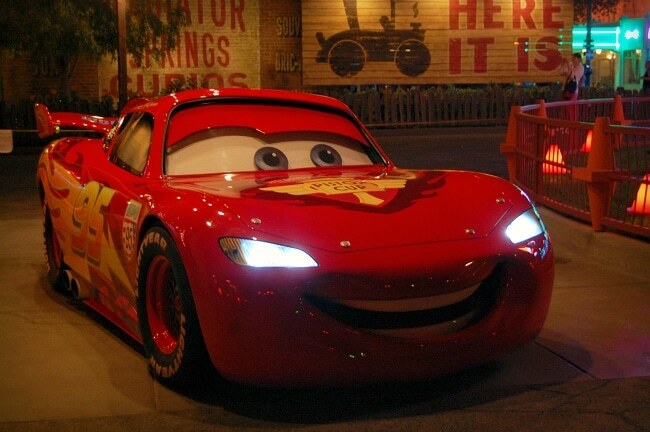 As you make your way to Radiator Springs, you meet up with familiar faces, including Lightning McQueen, Mater, Sally, Luigi, Guido, Mack, Ramone and Doc Hudson. Your car gets some fine-tuning before the big race, and then you’re paired up with another car for a thrilling lap around the race track to the finish line. It’s an adrenaline rush that’s totally worth the wait! 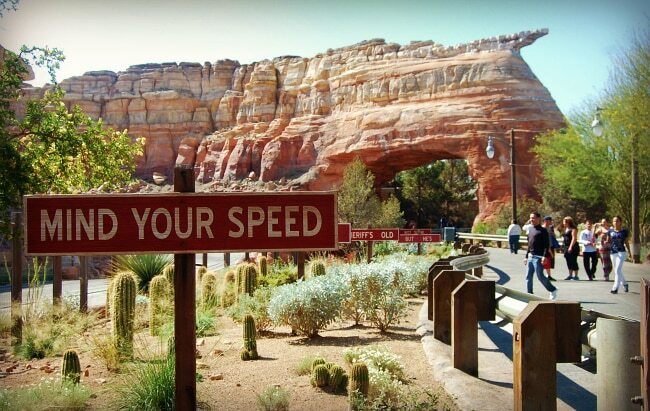 TIP: Fast passes go very quickly for Radiator Springs Racers and the wait time can often exceed 90 minutes. If you don’t mind splitting your family up (assuming you have teens or little ones who aren’t riding), the single rider line is the way to go. 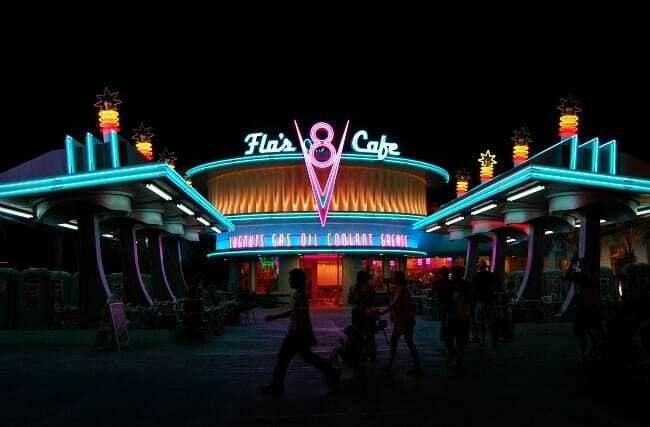 For a completely different experience from Cars Land during the day, make sure to sneak in a visit at night, when Radiator Springs comes alive with the glow of neon lights! The one ride I completely missed was Luigi’s Flying Tires. This is the second attraction for all ages– this time, you board a gigantic air-filled tire that floats around air vents, similar to an air hockey table. 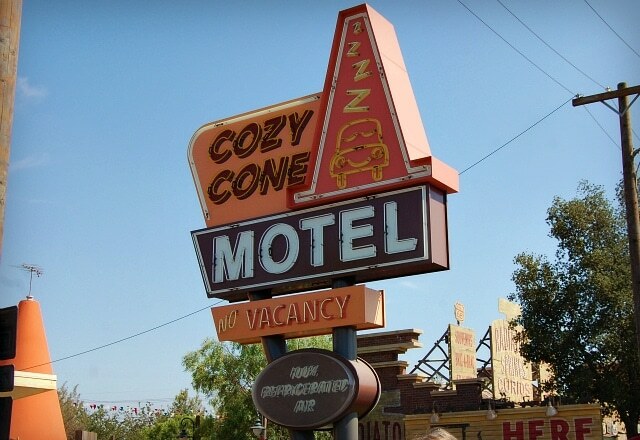 I’m a little bummed that I didn’t have time for this state-of-the-art attraction, but it’s just another reason to go back to Cars Land! 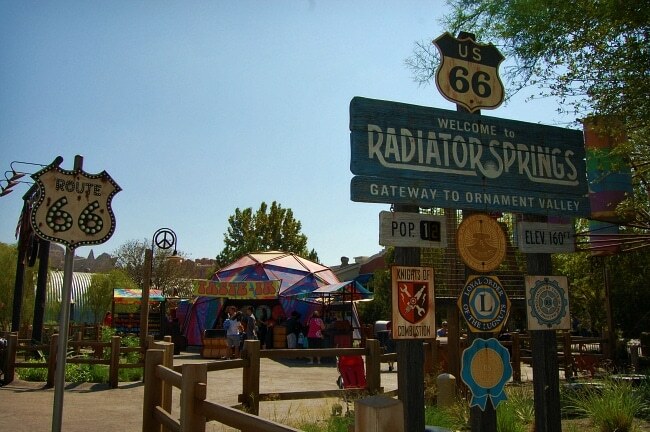 Cars Land is absolutely fantastical and I can’t wait to go back with my daughter! 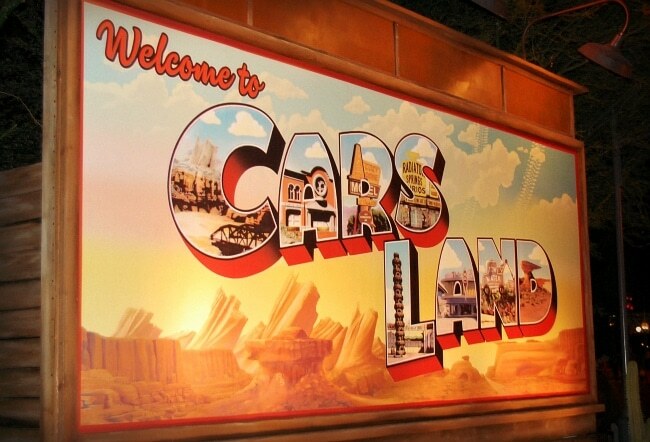 Disney really outdid themselves with this section of California Adventure and I only hope the rumors are true that Walt Disney World in Florida will be getting their own Cars Land at Disney’s Hollywood Studios. Special thanks to Disneyland for providing me tickets to visit California Adventure and Cars Land. All opinions are my own. Love these! Especially the ones at night! 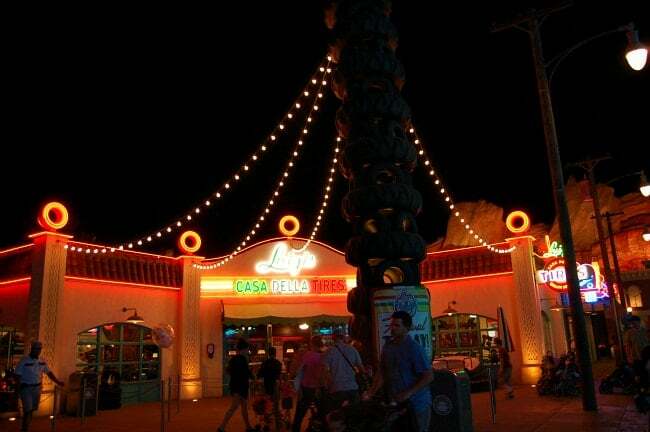 Okay, my kids are big but I think we would still love this place, especially at night, how fun! How cool is that!!! 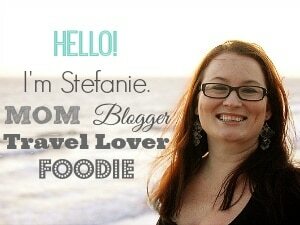 I’ll have to put this in my bookmarks for our next vacation.